The following example illustrates a number of important concepts. 1. The address in this case is 7Eh, which is different from the previous value. other address lines at its input will not be inverted. 2. 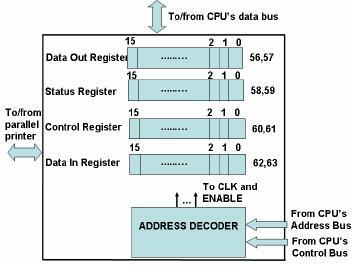 Control bus signal IOR# will be used instead of the signal IOW#. 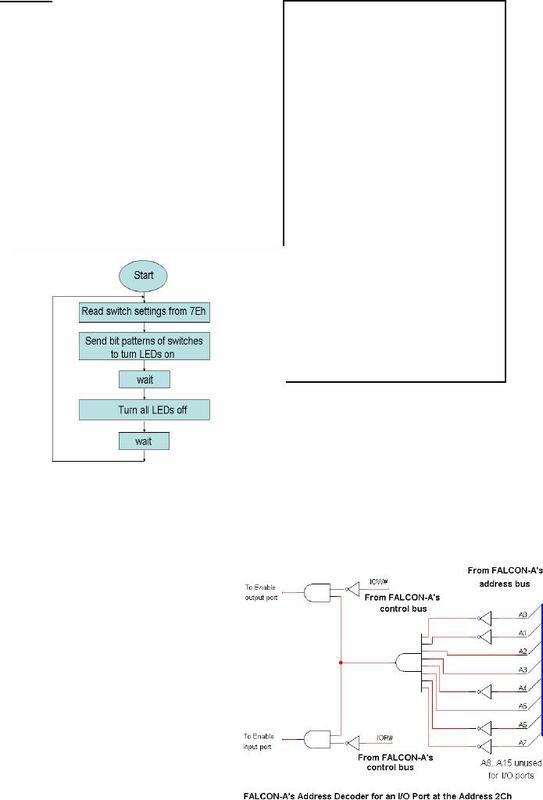 circuit is shown in the next two figures. during a transfer, while in the first figure it is not allowed. 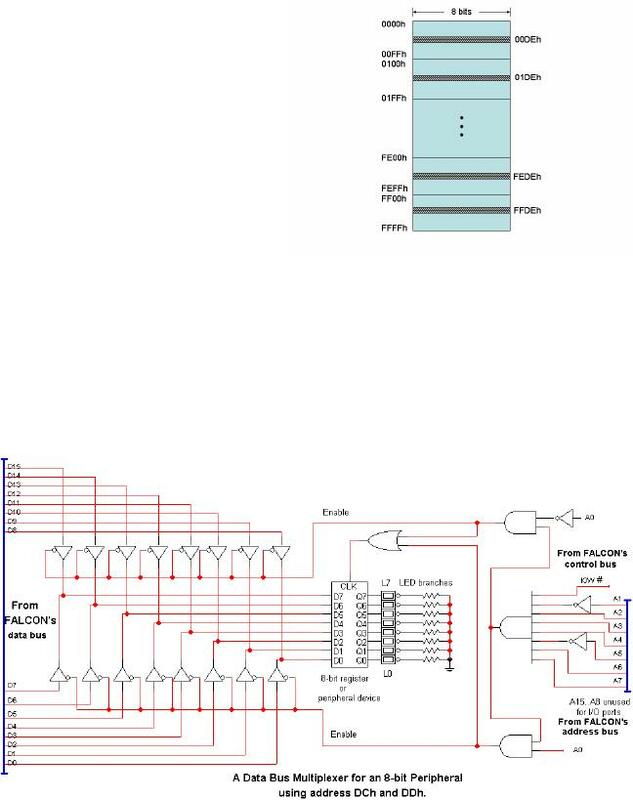 data at the output port and sixteen switches are used to send data through the input port. then L7 should also start blinking. LEDs off and waits again. register and the tri-state buffer. resulting in increased hardware costs. decoding". This is explained in the next section. address area will wrap around itself 64 times (= 26 ). portion of the data bus is connected to the peripheral. disadvantage is the increased complexity and cost of the interface. be used with a typical parallel printer. and not with respect to the CPU. 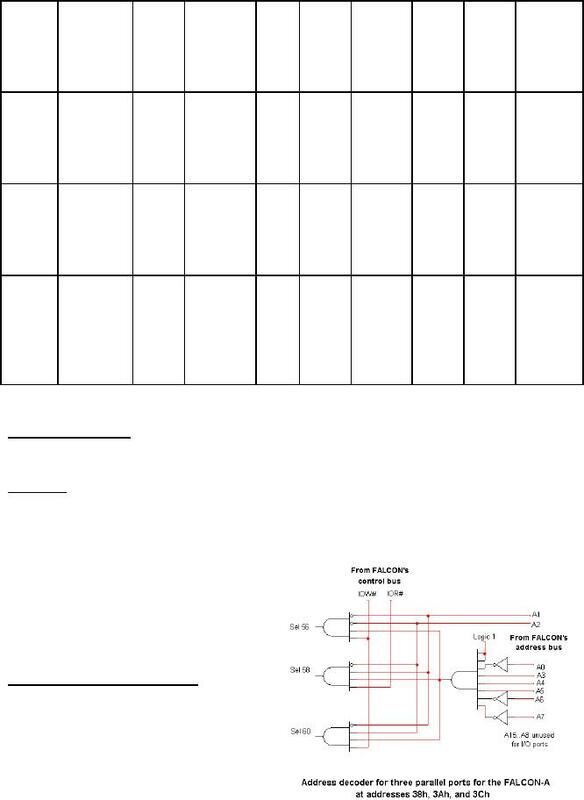 which has a 25-pin connector at the CPU side and a 36-pin connector at the printer side. systems, while the ACKNLG# signal is better for edge-triggered systems. bit parallel input port for the printer's status information that can be checked by the CPU. 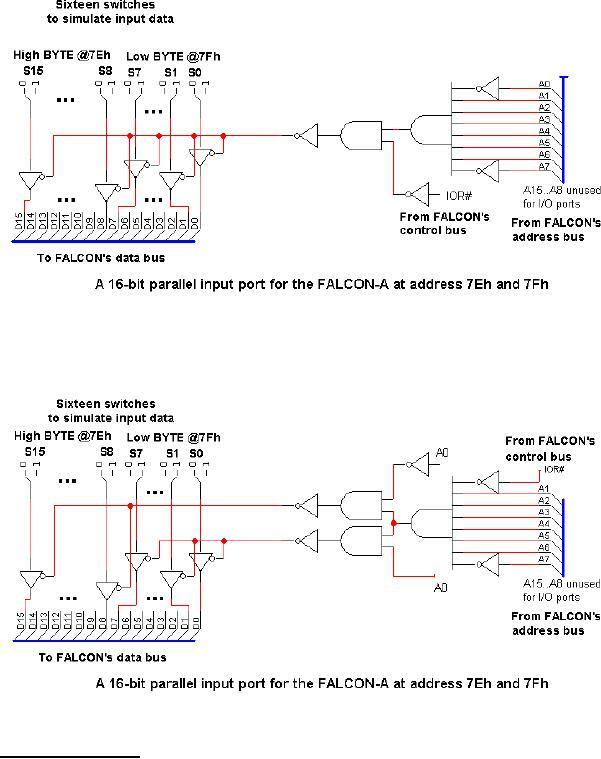 interface starting at address 38h (56 decimal) of the FALCON-A's I/O address space. the printer (i.e. pins 9, 8, ... , 2 of the printer cable) and leave lines D15...D8 unconnected. 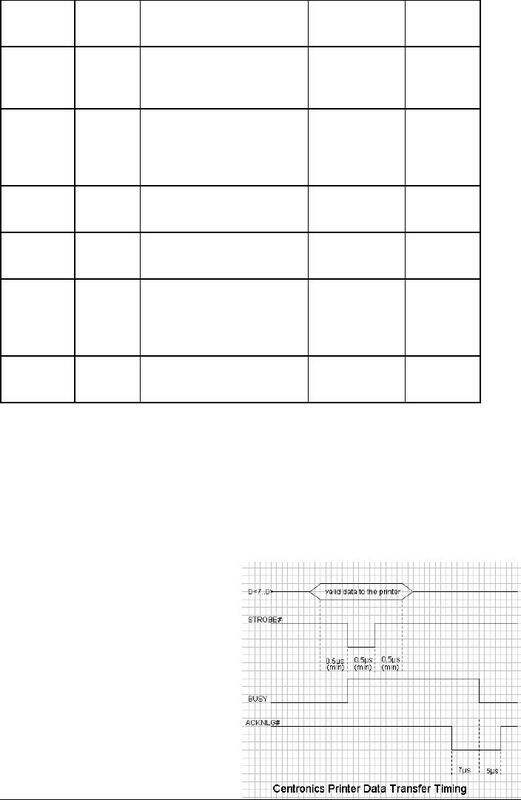 this interface is shown in the given figure.